Blake and I embarked on an epic day hike in Fernie last weekend: Heiko’s Trail. 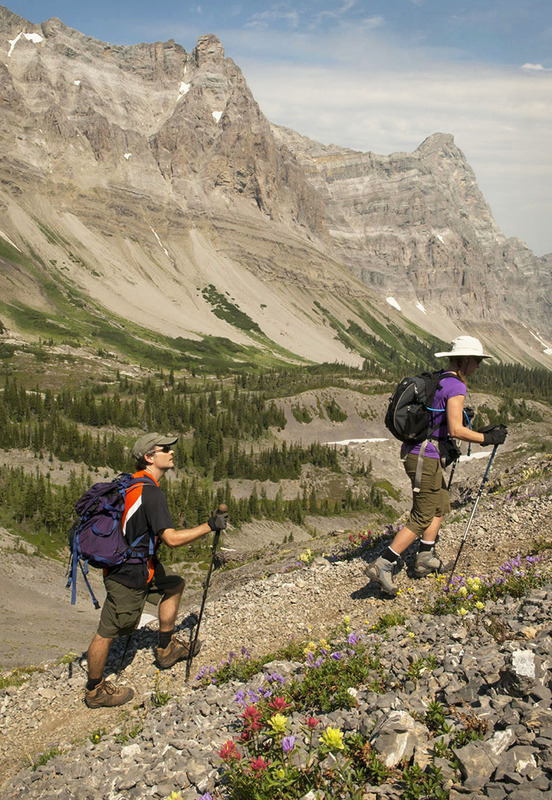 We’d been wanting to do this storied trek for several years, but the timing was never right — it’s a full-day commitment and the thought of just the two of us walking 20 kilometres through bear country gave me pause. Skirting the imposing mass of Mount Bisaro by way of wildflower-studded alpine meadows. Photo by Mike McPhee. So when Toque and Canoe asked if my husband and I would be interested in hiking the trail with an ACMG-certified hiking guide, staying overnight at Island Lake Lodge (the trail’s terminus) post-hike, and then writing about it, how could I say no? Look for my story on the T&C website later this summer. 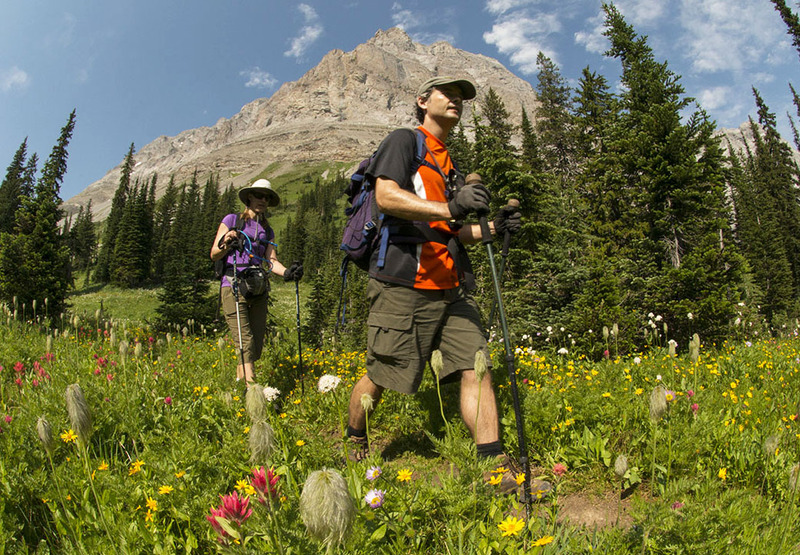 In the meantime, enjoy some Heiko’s Trail highlights, courtesy of Fernie resident and Island Lake Lodge marketing guru Mike McPhee, who joined our hike as photographer extraordinaire. 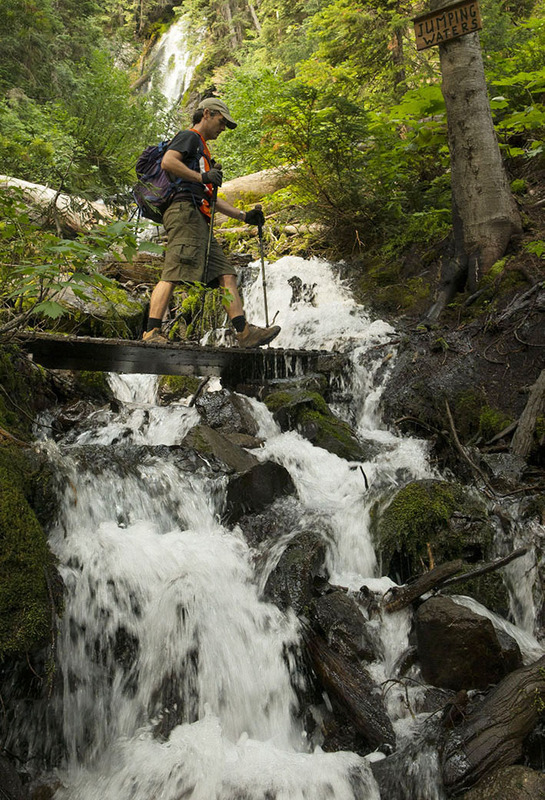 Blake walks across a wooden bridge spanning the ‘Laughing Waters’ waterfall, barely one kilometre from the Heiko’s Trail trailhead. Photo by Mike McPhee. 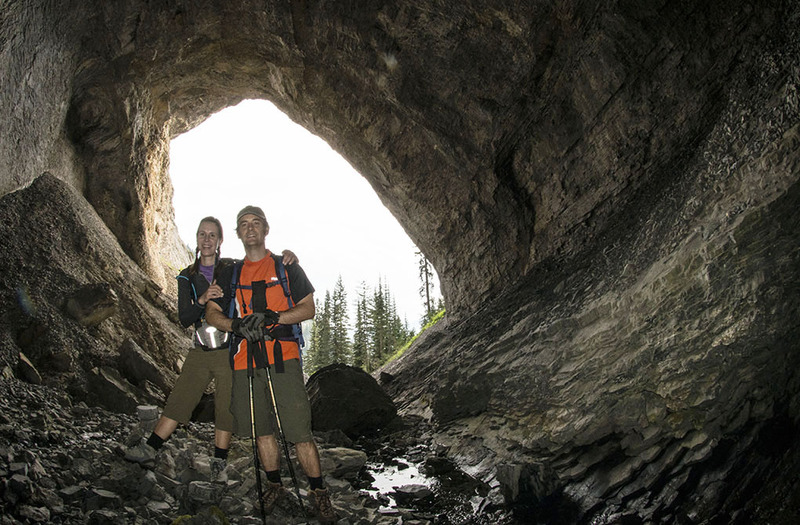 Posing inside Bisaro Cave, a vast cavern carved from crumbling limestone long Heiko’s Trail near Fernie, BC. Photo by Mike McPhee. 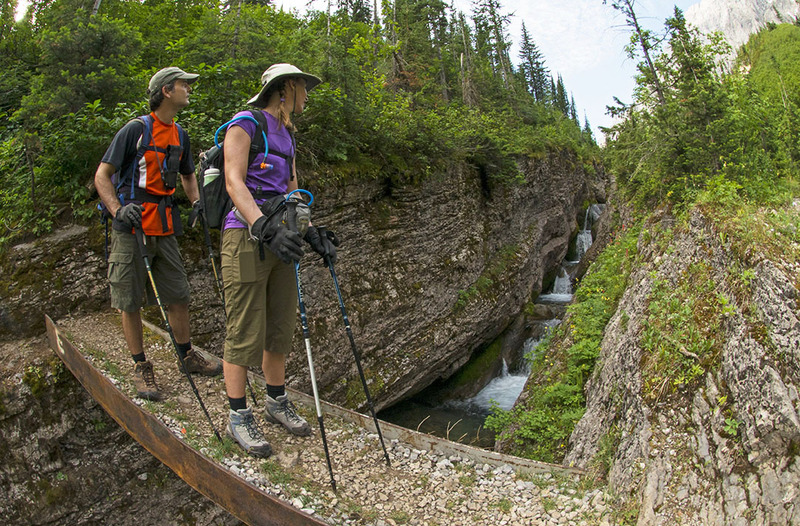 Crossing Bisaro Canon along Heiko’s Trail on one of two steel bridges helicoptered into the Fernie backcountry for this purpose. Photo by Mike McPhee. There isn’t a bad view on Heiko’s Trail. Mount Bisaro’s ‘Soda Wall’ — so named for the carbonates found in limestone — looms behind us. Photo by Mike McPhee. After eight hours, 20 kilometres and 4,500 feet of total elevation gain, it was time for a cold drink on the Bear Lodge patio at Island Lake Lodge. Check out my cocktail of choice in my next post.